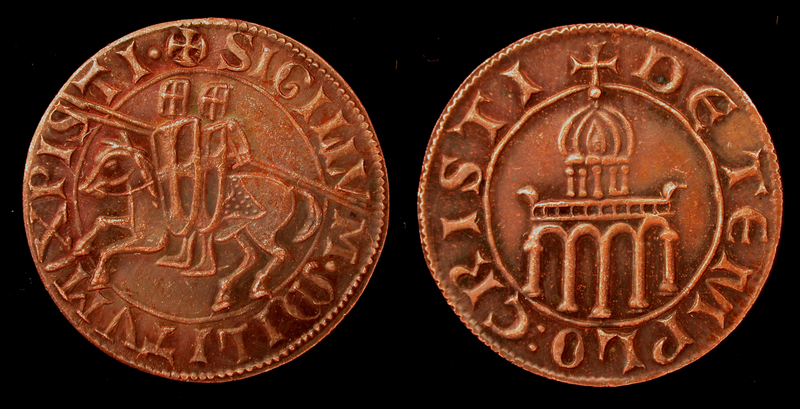 REV/ Elephant walking right, MVNIPICENTIA AVG, COS III in exergue. 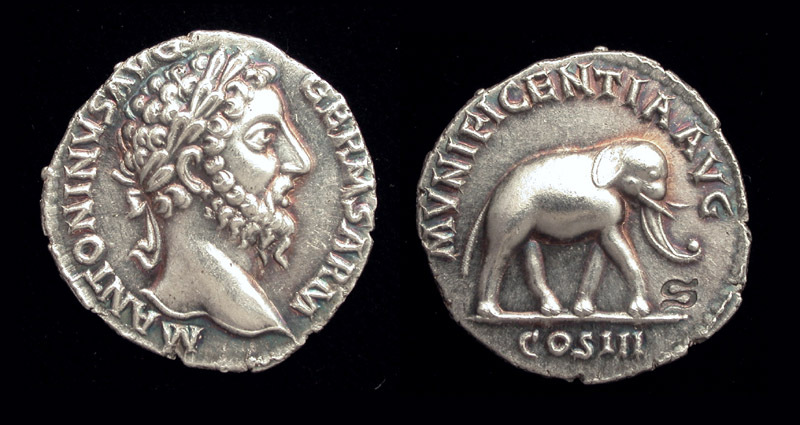 This Denarius is fictive, or a 'fantasy type' = it never existed. The reverse belongs to Antoninus Pius; a scarce series of coins issued to commemorate 'Munificentia', the spirit of Imperial Generosity, upon the occasion of the celebration of Rome's 900th anniversary in 147-148 AD, with extensive shows in the arena of the Amphitheatrum Flavium.